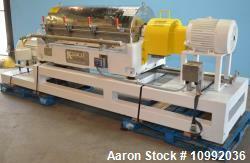 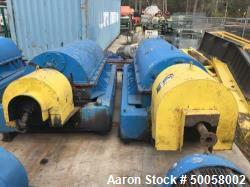 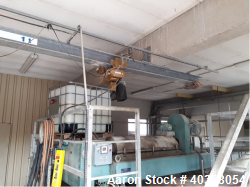 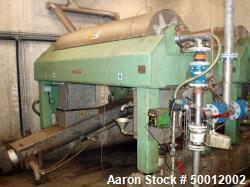 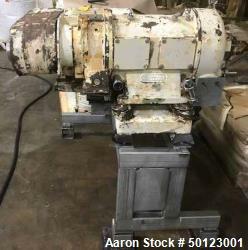 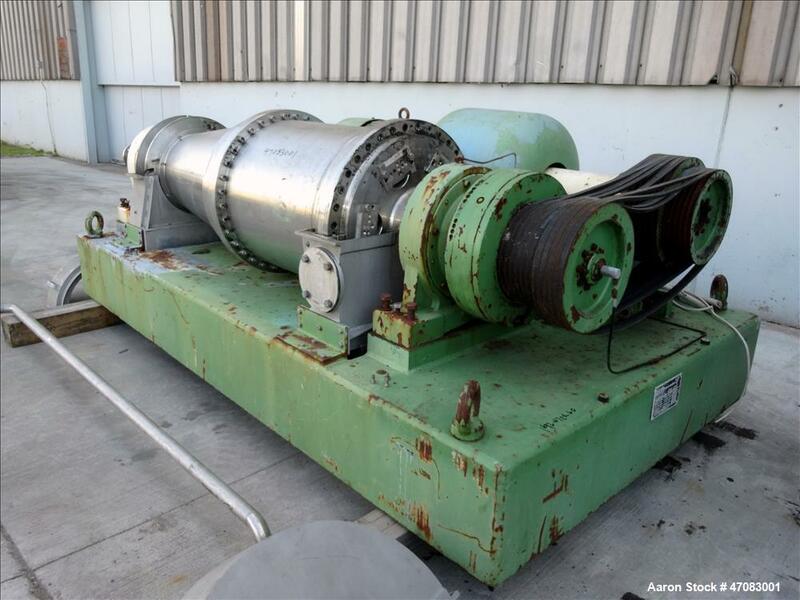 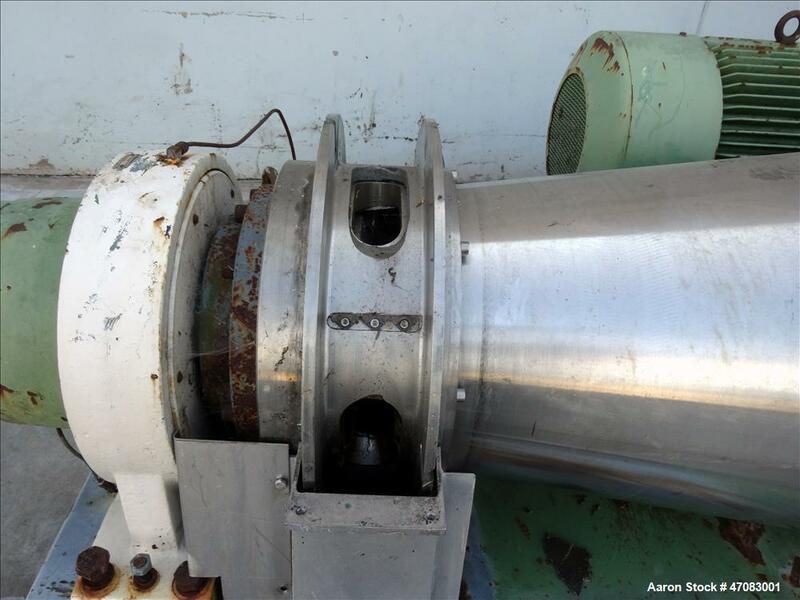 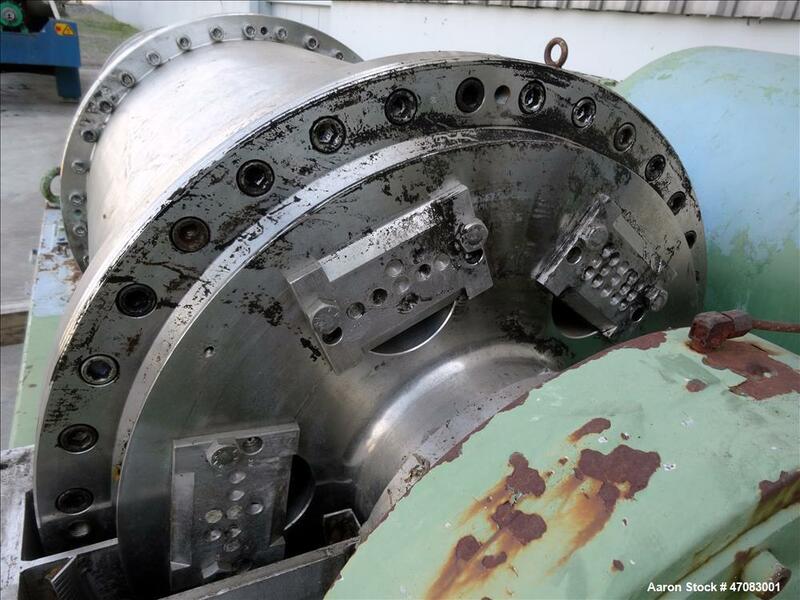 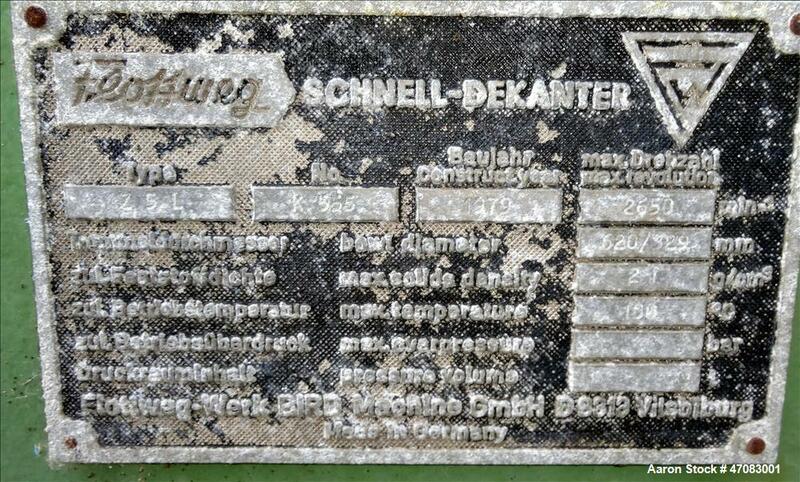 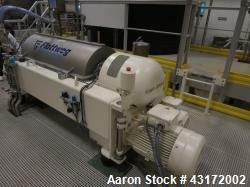 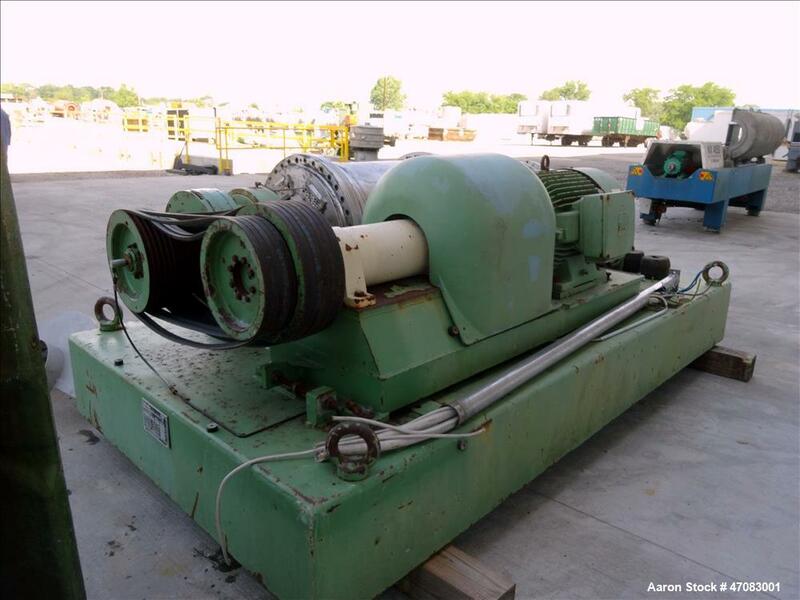 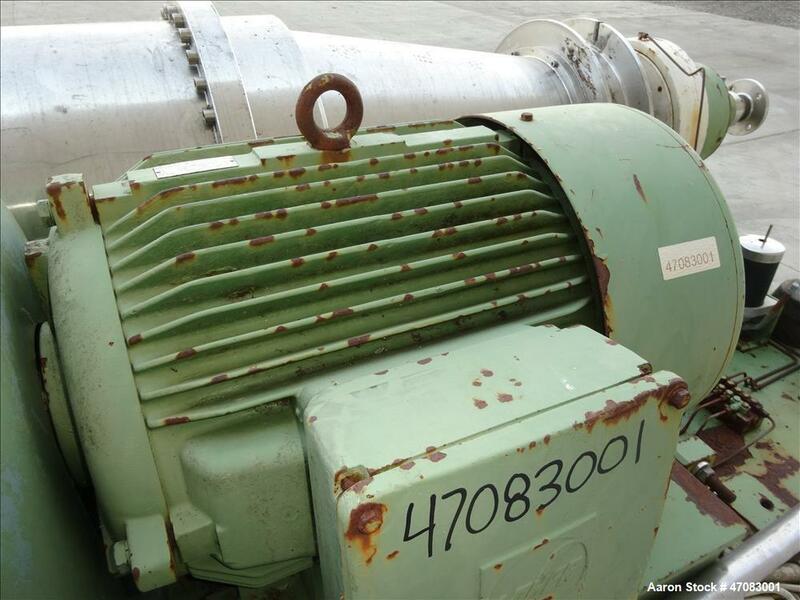 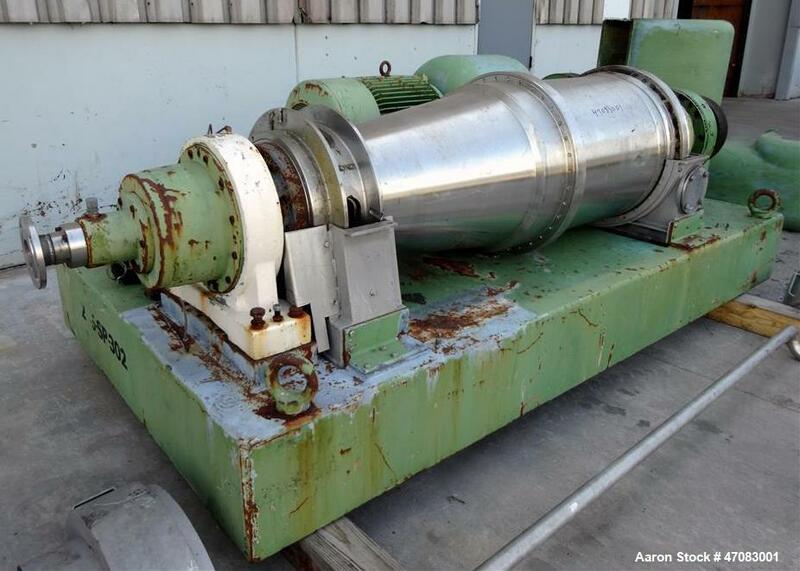 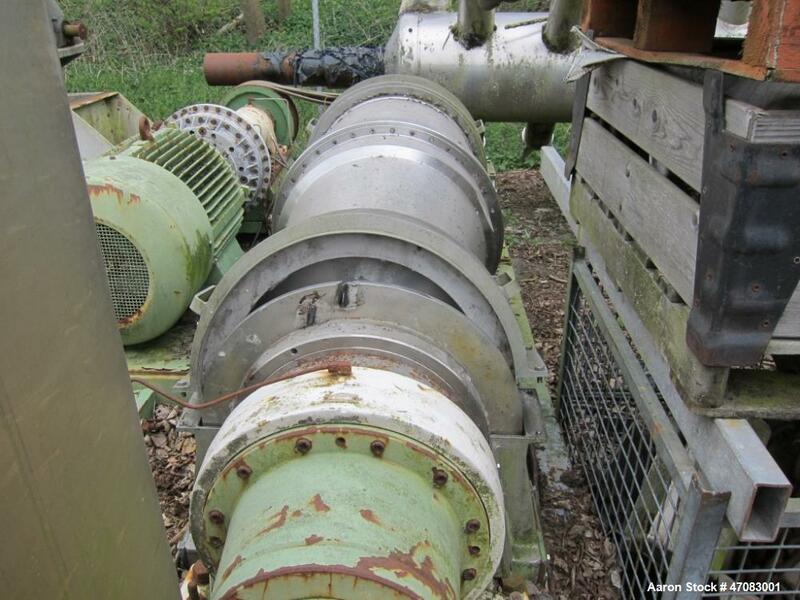 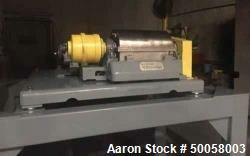 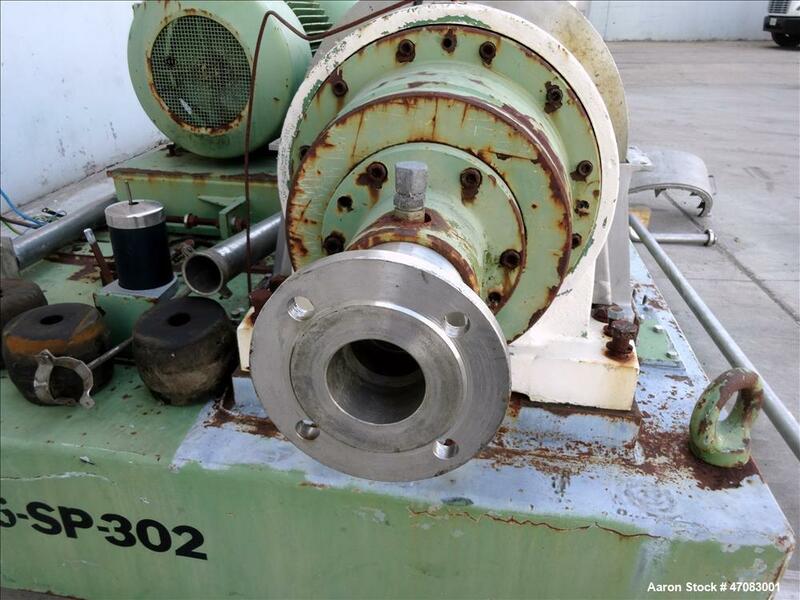 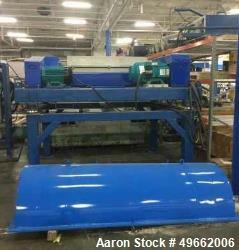 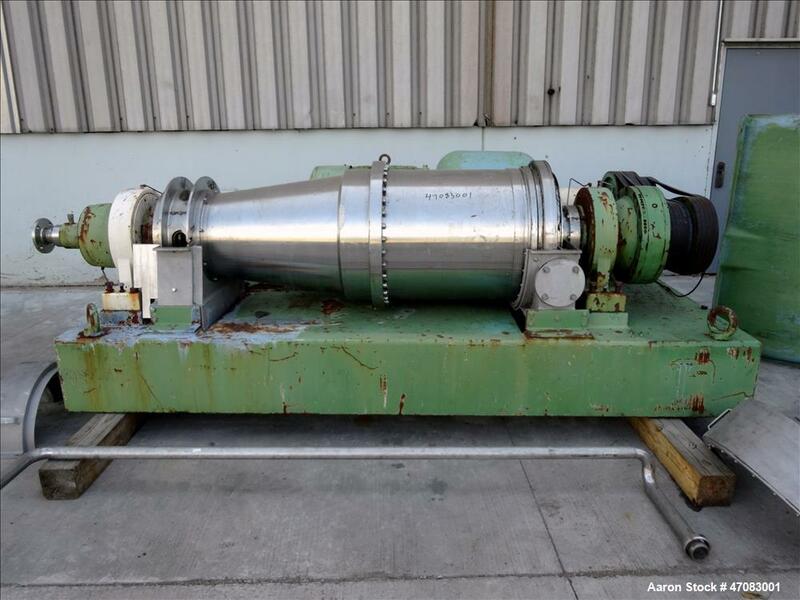 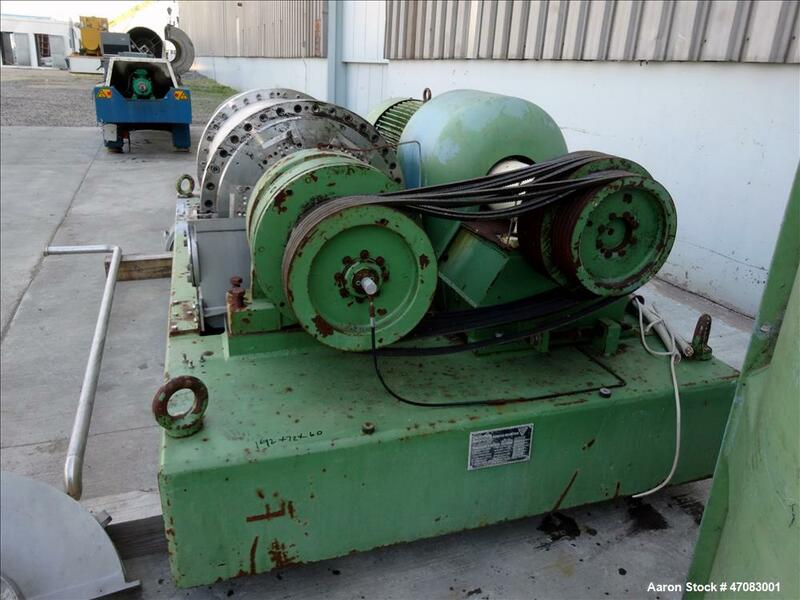 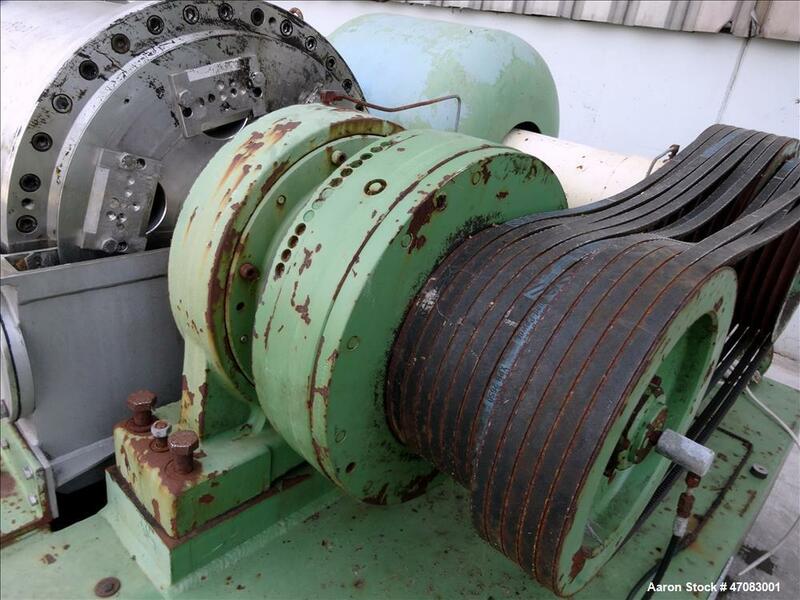 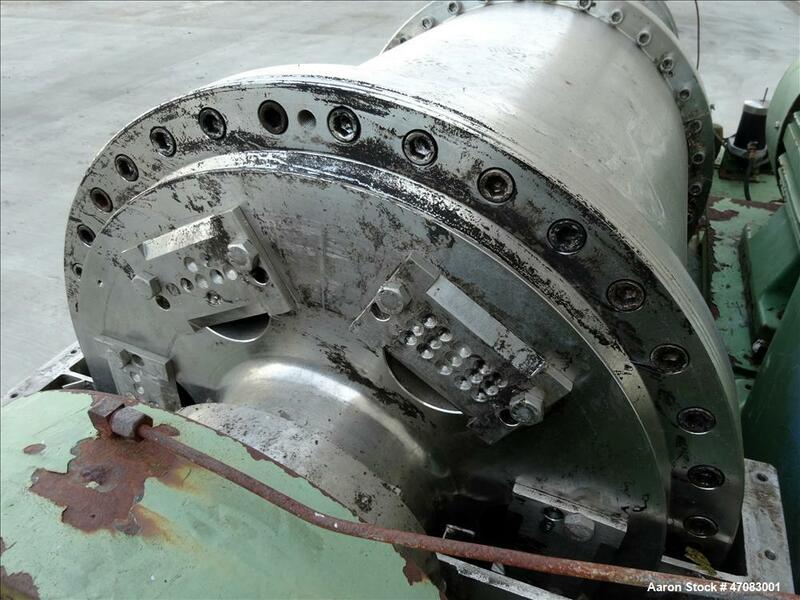 Used- Flottweg Z5L Solid Bowl Horizontal Decanter Centrifuge. 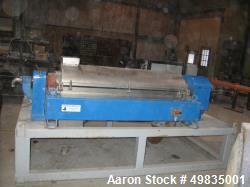 316/329 Stainless steel construction (product contact areas), maximum bowl speed 2650 rpm, single lead conveyor with welded hardfacing, cyclo gearbox, stainless steel discharge chutes, standard feed pipe, grease lubrication system, adjustable liquid plate dams, fiberglass bowl cover, base, 55 kw, 380/3/50 main drive. 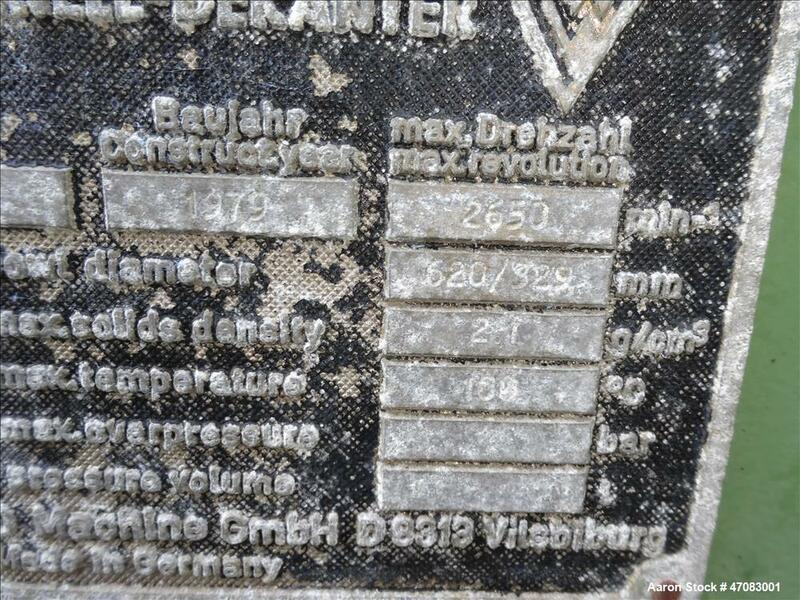 Overal Dimensions 142" x 72" x 70"